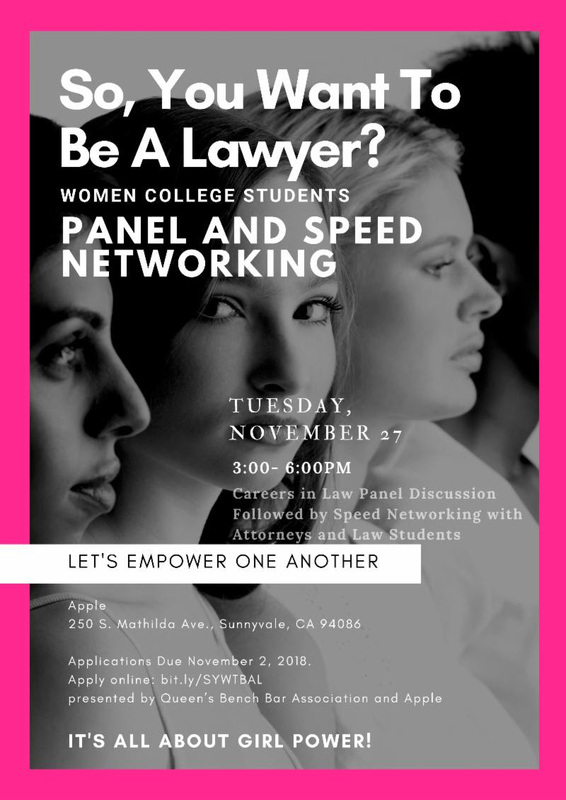 ple and the Queen’s Bench Bar Association and Apple invite women college students to a careers in law panel discussion on November 27, followed by speed networking with Attorneys and Law Students. To attend please apply here. Applications Due November 2, 2018.